Forget Obamacare, Wild Turkey Bourbon tells BourbonBlog.com that they want to take the now famous turkey into the care their distillery. Wild Turkey is petitioning President Obama to receive the Presidentially Pardoned Wild Turkey to offer it a home on its newly expanded distillery grounds in Lawrenceburg, Kentucky. 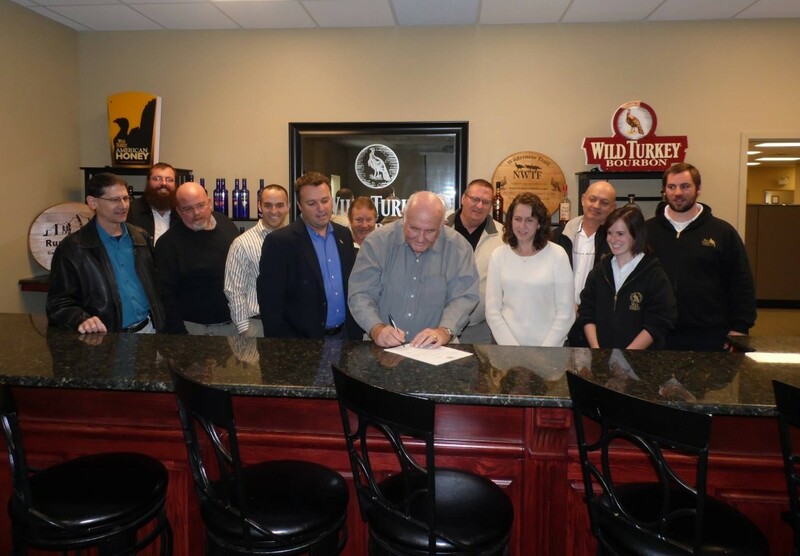 Wild Turkey Master Distiller Jimmy Russell is pictured above with friends from Wild Turkey Distillery writing the letter to the President. 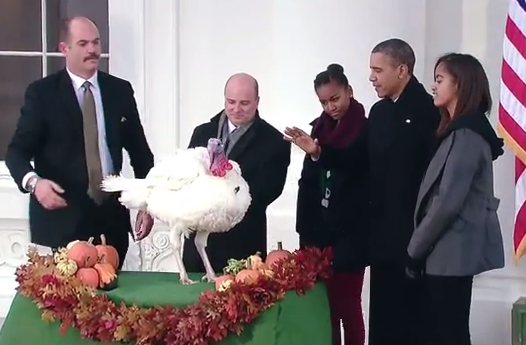 Yesterday President Obama pardoned at turkey named “Popcorn” yesterday who won out against another turkey named “Caramel” in a popular public vote online (watch the video below). National Turkey Federation annually donates a live turkey to the President of the United States, which the President of the United States promptly pardons. The pardoned turkeys become instant national celebrities, with some living out their post-pardon life roaming George Washington’s Mount Vernon estate in Virginia, while others have served as honorary grand marshals of Thanksgiving Day Parades. Wild Turkey wants to give Popcorn the prominent position as official “spokesbird” at the Wild Turkey Distillery, where this pardoned turkey would reside full-time in luxe accommodations. Master Distiller Jimmy Russell will send a personal note to President Obama to receive the pardoned turkey, offering him the role of the bourbon brand’s official spokesbird and brand mascot. “Benjamin Franklin once described the Wild Turkey as a ‘Bird of Courage’ and even called for it to be the National Bird,” Jimmy Russell, Master Distiller tells us. “Wild Turkey Bourbon is all about tradition and honoring our heritage, so what better call-to-action could there be than offering a sanctuary for the pardoned turkey,” added Russell. Do you think the President should send Popcorn to Wild Turkey Distillery? Tell us below under comments. Bourbon can be persuasive in politics, so we will let you know the result of this petition soon on BourbonBlog.com.